Love the color and the quality! Pillow is firm and well made. It goes really well with coverlet set that it is a part of. Adds a great pop of color to the neutrals! 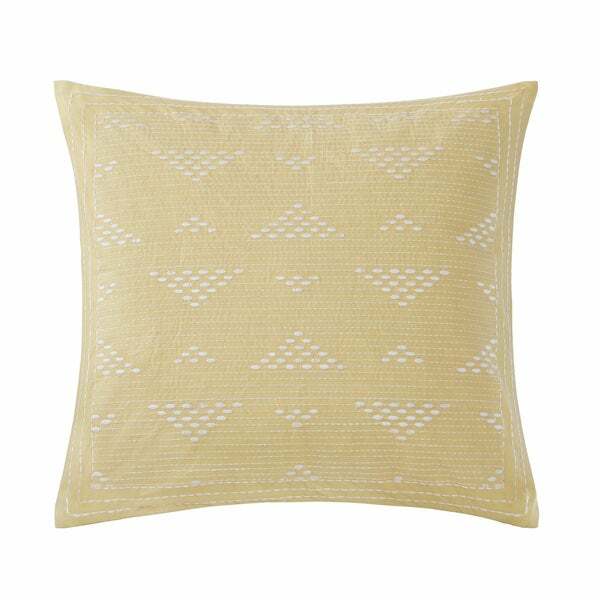 Add a pop of color and cheer to your space with this lovely little throw pillow. The embroidered details on the cover add texture, artfulness, and style to any bed or sofa. Overstock has a wide variety of pillows! You can find whatever you are looking for! I've bought many pillows over the years and paid a lot for them. Overstock has amazing prices for great quality pillows! We love these on our bed. They are beautiful! Very Pretty. This color works great in my bedroom with the coverlet set I bought. Very happy with how well made this pillow is. Beautiful! Excellent quality and the color could not have matched better with my paint color. I highly recommend this brand! I am very pleased with my entire bedset that I purchased from Overstock. It is enough of a pop of color not to take away from the other pillows. I will definitely order from Overstock in the future. I liked the pattern and the bright color that complements the neutral quilt.